It has been a busy week in RMDS this week from the announcement of the results of our RMDS Carbon Challenge, to the fabulous news of our RMDS Read-a-thon being such a success (see below!) to the RMDS Choir taking part in Cór Fhéile this year for the first time. 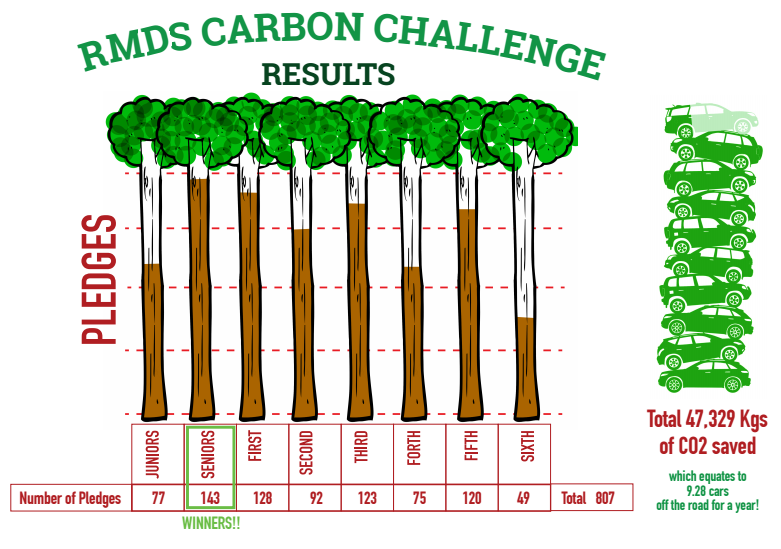 Firstly, a huge thank you to the Green Team co-ordinated by Ms. Halpin and helped hugely by Tom (Leo – SI’s dad), Lorraine (Julian – SI’s mum) and Barbara and Richard (Rocco – SI’s parents) in bringing together and collating all the results from the RMDS Carbon challenge. A huge amount of work was involved. All the results are down below! 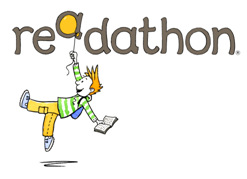 Thank you to the PA, teachers, parents and of course the children who got behind the Read-a-thon and made it such a resounding success! I know everyone is eagerly anticipating the completion of the Play Structure in Linear Park! This fundraiser will go a large way towards finalising this! 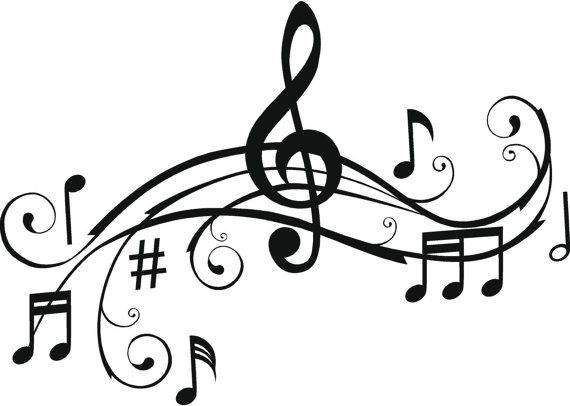 Finally, a huge thank you to Ms. Coogan and Ann (Ena – R6, Finn – R4 and Art – R1’s mum) for all the work that they put in to preparing for Cór Fhéile and our choir’s inaugural participation in the event. Thank you to the children for their eagerness and enthusiasm which is priceless and also to you the parents for your support on those early, dark Friday mornings! There was a great energy and vibe throughout the National Basketball Arena in Tallaght on Monday night and the RMDS Choir really made us proud with the judges commenting in particular on the choir’s “pleasure in performance” – something which is hard to hide! •	To preserve the ethos of the school. If you have any questions or suggestions, please do not hesitate to contact any member of the Executive Committee, via the school office or email to exec@rmds.ie. Tá Cumann na dTuismitheoirí ag eagrú maidin caifé ar an gCéadaoin 15ú Márta chun an Ghaeilge a chur chun cinn i measc na dtuismitheoirí. Bígí linn agus bíodh comhrá againn faoi chonas an Ghaeilge a chur chun cinn sa bhaile agus sa chlós. Beidh lipéadaí thart timpeall an chlóis agus beidh bhur bpáistí ag múineadh frásaí díbh roimh ré. 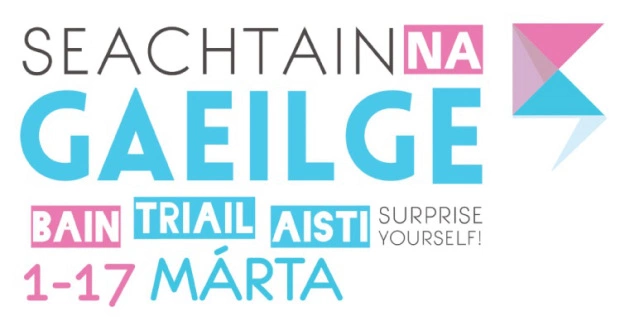 Tógaigí abhaile oideas do bhrioscaí, cácaí &rl as Gaeilge agus triail sa bhaile iad. Cuirigí bhur n-ainmneacha síos do Rang Pilates/Yoga a bheidh ar siúil ar an 23ú Márta ar maidin. Tá comórtas ar siúil freisin. Críochnaigh an frása ‘Is ____________________ í m’Éirinn agus beidh seans ag do chlann páirt a ghlacadh i bParáid Lá le Pádraig ar flóta Rothar Áth Cliath. Táimid an-bhuíoch as an tacaíocht ar fad. The PA association are holding a coffee morning next Wednesday, 15th March to promote Irish speaking among the parent body. We are hoping that as many parents as possible will be able to delay the dash to work, enjoy a quick coffee and chat among ourselves (in English or Irish) about simple and fun ideas for promoting Irish in the home and the school yard. The teachers will be involving the children ahead of the Coffee morning by teaching them some useful phrases that they can pass on to you ahead of the coffee morning! Children will also make labels that will be posted on objects throughout the yard to help prompt our cúpla focal! There will be a competition to enter on the morning, and also a yoga/pilates class to sign up to. The class is scheduled for Thursday, 23rd March in the school. We will also have treat recipe cards in Irish for you to take photos of to try at home! The competition will give a family the chance to take part in the St Patrick's Day Parade! One family will be able to cycle with the Dublin City Bikes Float. This year’s Festival theme is "My Ireland is . . . ."
We are asking children/parents to complete the phrase in Irish and to place in the draw at the coffee morning. The PA have booked a visit to the school from the DSPCA on 3rd April. There will be two age appropriate presentations, Junior Infants to R1, and R2 - R6. The presentations will focus on responsible pet aquirement and pet care, with plenty of Q&A. The DSPCA wil also bring their Giant Snails to school for the visit!!! Always a great night! We are giving you plenty of notice - so no excuse not to get the babysitters booked!!! We are keeping it simple, and going back to the Pub this year! We have booked out The Hill Pub on Friday 23rd June. Put the date in the diary now! More details to follow! Please keep an eye out for the posters with details on openings within the Parents Association!!!! The results of the Carbon challenge were announced yesterday. We would like to thank every class for their participation in this challenge and also for taking the time to fill in the feedback questionnaire! Congratulations to Senior Infants for completing the most number of pledges ! 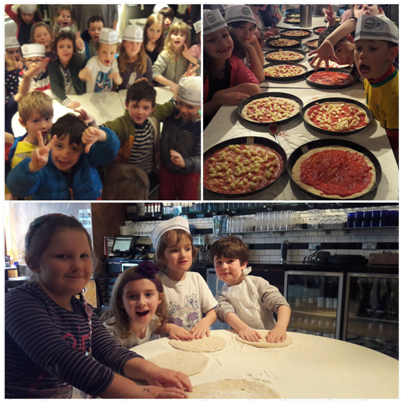 The whole class enjoyed their prize of a trip to Milanos in Ranelagh and made their own pizza for lunch. Rang 1 had the next most pledges completed and in addition to this, because of Ms. Desmond’s large CO2 saving on four shared lifts to Cork recently, Rang 1 have won a trip to Milanos next Wednesday! Congratulations to Rang 1. The full results are shown in the chart below. Overall our CO2 saving from this pledge period equates to 9.28 cars off the road for a year. Every saving of CO2 does make a difference to influencing climate change. Thank you everyone for your support! Many families cross Mount Pleasant Avenue Upper on their way to and from school. There are safety concerns regarding the speed and volume of traffic and the difficulties that this causes for children crossing the road. The local residents group has drafted a letter to the City Council asking them to provide a solution to these difficulties. Saibh Ni Loinsigh - Mum of Oisin (R6) and Sibha (R2) – is one of the residents behind this initiative and will be outside the school tomorrow morning with the letter in case any other parents would like to sign it.